VISALIA – Overnight delivery has long been a staple of online shopping for items ranging from tablets to furniture. But what if you could search for a car online and then have it delivered the next day? As of last week, you can. On April 4, Visalia was among three areas that Carvana, a leading e-commerce platform for buying and selling used cars, launched as-soon-as-next-day vehicle delivery. The other areas were Salinas and Santa Cruz. The online car dealer claims that in as little as 10 minutes, customers can shop more than 15,000 vehicles on Carvana.com, finance, purchase, trade in, and now schedule as-soon-as-next-day delivery. Area customers can also sell their current vehicle to Carvana, even if they aren’t purchasing one, receive a real offer in minutes, then schedule as-soon-as-next-day pickup of that vehicle. In a released statement, Carvana said it offers consumers a car buying experience focused on transparency and ease. Customers shop for and purchase their next vehicle entirely online, saving valuable time and money by skipping the dealership. Additionally, all Carvana vehicles also come with a 7-day return policy, giving customers the time to ensure their vehicle fits their life. Whether it’s getting all your beach gear in the trunk, or seeing if the car seats fit, it’s an upgrade to the traditional test-drive. All 15,000+ vehicles in Carvana’s national inventory are photographed in 360 degrees, so customers get a high-definition virtual tour of every vehicle. Additionally, every Carvana vehicle is Carvana Certified, meaning it has undergone a rigorous 150-point inspection, has no frame damage and has never been in a reported accident. Features, imperfections and updated information about open safety recalls are listed on the car’s vehicle description page. With today’s additional launches in California, Carvana now offers as-soon-as-next-day vehicle delivery in 13 markets in the state and 115 markets across the U.S. Founded in 2012 and based in Phoenix, Carvana’s (NYSE: CVNA) mission is to change the way people buy cars. By removing the traditional dealership infrastructure and replacing it with technology and exceptional customer service, Carvana offers consumers an intuitive and convenient online car buying and financing platform. Carvana.com enables consumers to quickly and easily shop more than 15,000 vehicles, finance, trade-in or sell their current vehicle to Carvana, sign contracts, and schedule as-soon-as-next-day delivery or pickup at one of Carvana’s patented, automated Car Vending Machines. 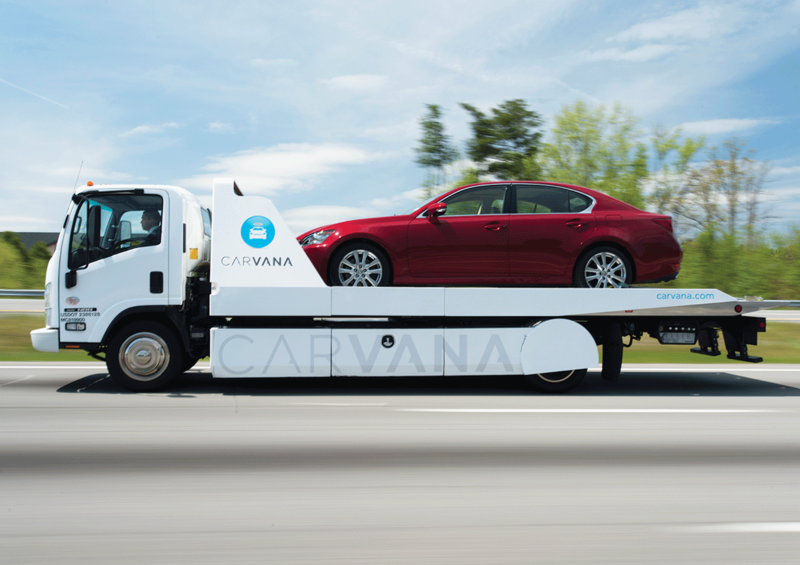 For further information on Carvana, visit www.carvana.com, or connect with them on Facebook, Instagram or Twitter.